Jack Nicklaus, by winning a total of 18 career major championships while producing 19 second place and 9 third place finishes in major events on the PGA Tour over a span of 25 years, is widely regarded as the most accomplished player the game has ever known. 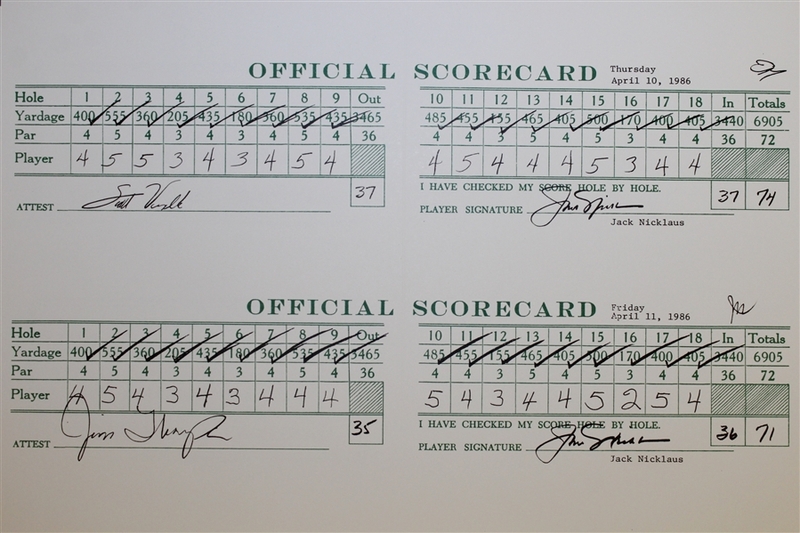 His win at 46-years old in the 1986 Masters will remain memorable for the ages. 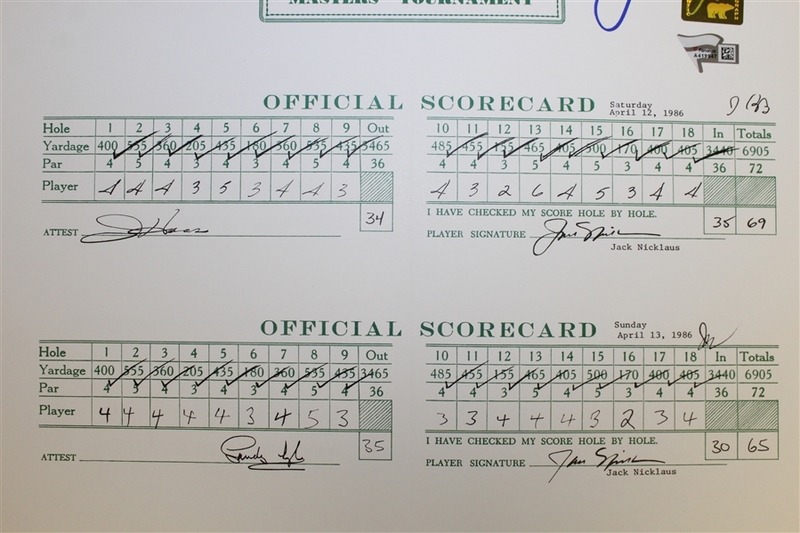 With five different golfers having a part of the lead in the final round, Nicklaus' charge began at the 15th, going eagle, birdie, birdie, and par to claim the title. 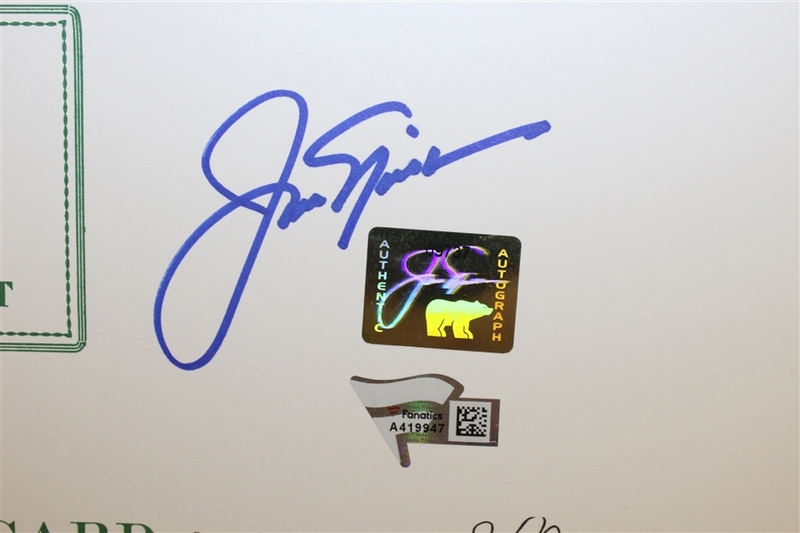 Autograph is penned neatly above Jack's own personal bear hologram of authenticity.